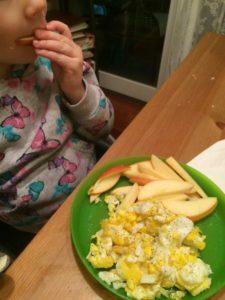 Simple and quick breakfast this morning for the little one. Two eggs fried/scrambled in a little olive oil with some. Black pepper and sliced apple. A big hit.